Joining our writing team of creative activists is Miguel Fernandes Ceia, he takes part in the Futures Interview so that you can get to know him better. Miguel Fernandes Ceia is a writer, critic and translator. He works as editorial assistant for Writers’ Hub, for which he has contributed with interviews, opinion pieces and reviews. He has also contributed for Culture Wars with essays and reviews. In 2008 he completed MA (hons) Comparative Literature, Faculty of Letters, University of Lisbon and is now finishing MA Creative Writing, Birkbeck College. Aside from reading, writing and studying, Miguel has been producing CreativeCapital – Hospital Club since 2009. He is one of the editors of The Mechanics’ Institute Review, issue 8. 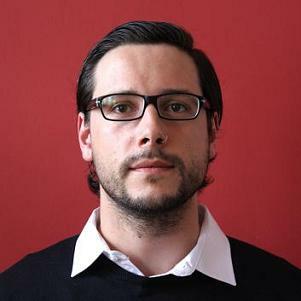 Miguel is contributing from London (Hackney).
? !X: What is the Future You Choose? MFC: The future I choose does not bow down to built systems. The future I choose is yet to be invented. The future I choose is not afraid. The future I choose is free.
? !X: What is an ‘think’ to create this Future? MFC: A think to create this future is a book. “The Sleepwalkers” by Hermann Broch. It deals with the degradation of values in the secular society and pin points, in its historical contingency, philosophical and ideological issues that we, in a eschewed way, are also experiencing presently.
? !X: What is an ‘act’ to create this Future? MFC: An act to create this future is to speak up. To be educated in what is said and stand by it. An act is to never shy away from taking a position, controversial as it may be. As Voltaire said, “I disagree with what you say but I will fight to the death your right to say it”.
? !X: What is a ‘vote’ to create this Future? MFC: A vote to create this future would be to support and give voice to English PEN and International PEN campaigns, especially the ones concerning imprisoned writers and free expression.
? !X: What is your favourite song and why? MFC: My favourite song at the moment, as they change from time to time, is ‘We’ by Blasted Mechanism. I like it because it is a great example of world music, of how elements of different musical genres come together to create something new, though familiar. It really touches a soft point the interaction between the Portuguese guitar and the sitar.